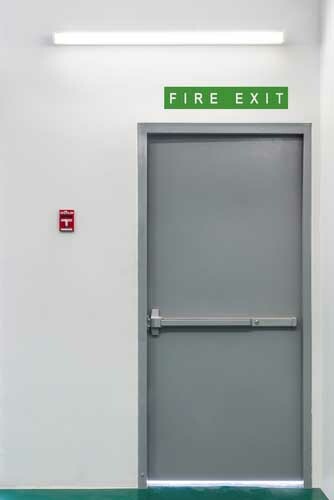 If you are looking for high-quality fire exit doors at competitive prices in South Wales, then speak to one of our experts today. 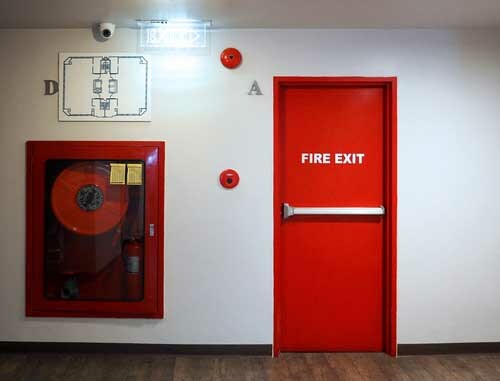 We sell a wide range of heavy-duty fire and emergency doors that are made to measure and offer maximum protection against fire risks. We operate across South Wales including Swansea, Cardiff, Llanelli, Neath, Port Talbot and Carmarthen. For a free quote contact us or visit our showroom in Swansea to speak to one of our helpful advisors. 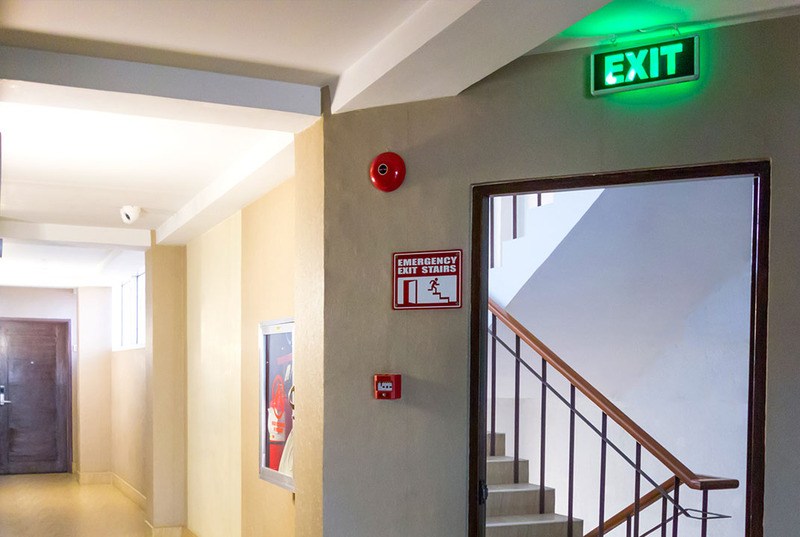 Our range includes both double and single fire exit doors that are made to measure and can fit door openings from 700mm to 2 metres. 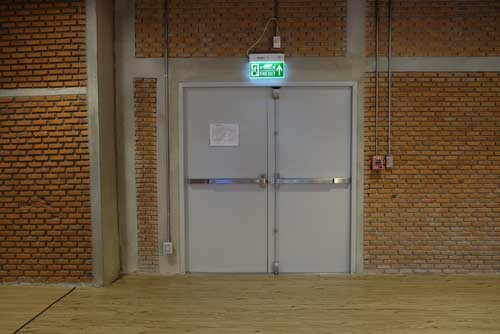 Each door is manufactured with a smooth external finish for maximum security and there are various options to add external access devices so that the door can also be used as an entrance. 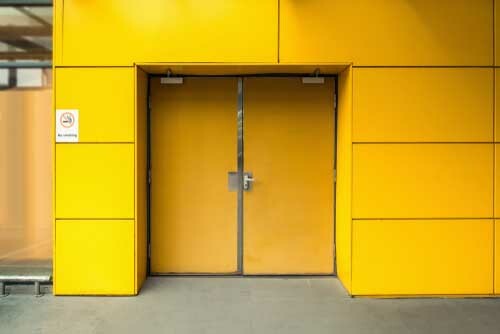 Furthermore, we also offer the option to add glazed panels or letterboxes and each door is available in a wide range of RAL colours to match your company colours. 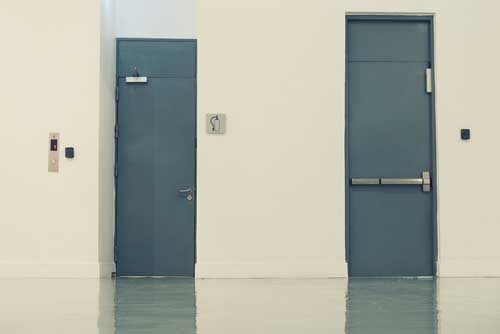 To get a free quotation for fire door installation please call us or visit our showroom in Swansea. 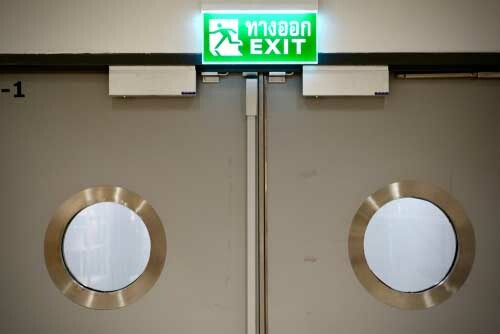 Our experienced team can help advise you on the best emergency door for your needs. We cover South Wales including Swansea, Cardiff, Carmarthen, Llanelli, Neath and Port Talbot.